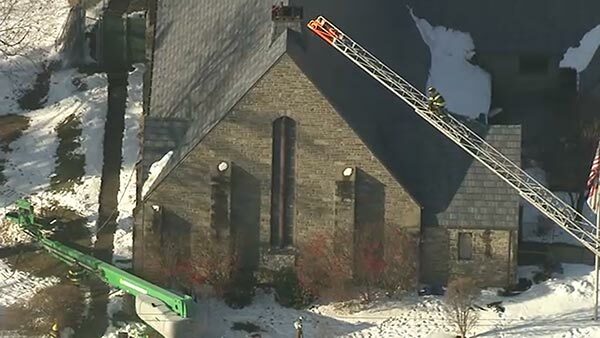 UPPER DARBY, Pa. (WPVI) -- Fire crews are on the scene of a 2-alarm blaze at a church in Upper Darby, Delaware County. The blaze was reported after 2 p.m. Tuesday at the Church of the Holy Comforter on the 1000 block of Burmont Road. So far, there is no word on injuries.